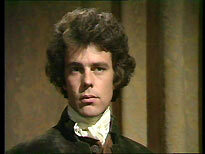 Based on the novels written by Winston Graham, this well-remembered series, concerning life in Cornwall in the late 1700s and, specifically, the exploits of Ross Poldark, originally aired on BBC 1 between October 1975 and January 1976. 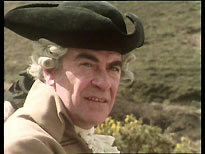 Poldark depicted the events of the first four of Graham’s Poldark novels: Ross Poldark, Demelza, Jeremy Poldark and Warleggan. The four novels were originally published between 1945 and 1953, covering the time period of 1783-1793. Winston Graham then returned to writing Poldark novels from 1973 until his death in 2003, creating a further eight books. 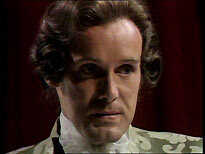 The series was made by the BBC as a co-production with London Films Ltd, with whom they would make I, Claudius the following year. 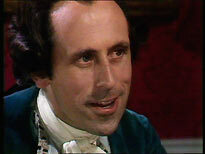 Morris Barry was appointed as Poldark's producer (he directed three Patrick Troughton Doctor Who stories, and, as an actor, appeared in Blake’s 7, the BBC’s adaptation of The Day of the Triffids and the Tom Baker Doctor Who story The Creature From The Pit). Three directors were appointed to the series: Christopher Barry (who directed many early Doctor Who stories, along with Moonbase 3 and, more latterly, The Tripods), Paul Annett and Kenneth Ives (both who went to directing duties on Secret Army). 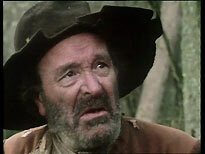 Cast in the important central role of Ross Poldark was Robin Ellis (who had previous appearances in Elizabeth R, The Moonstone and Fawlty Towers, and would go on to star in Dennis Potter's Blue Remembered Hills). Demelza, the urchin Ross takes on as a servant, was played by Angharad Rees (who would of course go on to be the infamous Witch of Elsdon in Robin of Sherwood). Clive Francis was cast as Francis Poldark, Ross' cousin (Francis has had long career of memorable roles, but perhaps his most memorable is as Neville St Clair in Granada's adaptation of the Sherlock Holmes story The Man with the Twisted Lip). 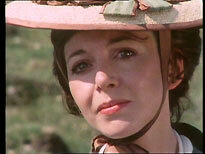 Elizabeth was played by Jill Townsend (who had appearances in The Sweeney, Space: 1999 and the film Alfie Darling). 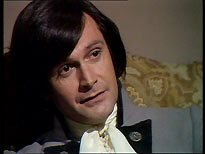 Finally, cast as Ross' arch-rival George Warleggan, was Ralph Bates (a brilliant actor who appeared in several Hammer horror films, as well as Moonbase 3, Secret Army and the popular sit-com Dear John). 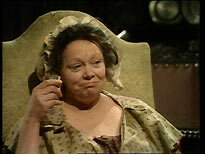 Special mention must also go to other series regulars - the delightful Norma Streader who plays Ross’ cousin Verity, and Paul Curran and Mary Wimbush, who were cast as Ross’ servants, Jud and Prudie Paynter, who provided much drama and comedy in equal doses! 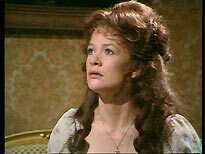 Other actors that can be seen gracing this series include Eileen Way (pulling out a great scene-stealing turn every time she appears as Agatha), Judy Geeson, Richard Morant, Frank Middlemass, Nicolas Selby, Christopher Benjamin (who gets to wear some outrageous wigs), Forbes Collins, Jonathan Newth, Cyntha Grenville, Roy Evans, Milton Jones and Philip Madoc. Adapting the four novels were writers Jack Pulman (who would go on to adapt I, Claudius), Paul Wheeler, Peter Draper and Jack Russell. The four novels were split between the four writers. Each of them allocated four episodes a-piece of the sixteen-episode series, with the production crew treating them as effectively as four separate blocks. Recording began in July of 1975 with filming duties in Cornwall, before returning to London for the videotaping of the first four episodes. The cast and crew repeated this pattern over the summer and early autumn, with trips back to Cornwall at the start of each block. Recording of the final part of the series took place as the initial episodes were being transmitted. Scheduled with a Sunday evening slot, partly clashing with the well established and popular Upstairs Downstairs, the series wasn't initially a critical success, but it soon proved very popular with viewers and the series figures grew. Following the success of Poldark, London Films Ltd and the BBC moved on to their co-production of I, Claudius during 1976, before returning to Poldark for a second series during 1977. Magna Pacific’s four-disc set presents all sixteen episodes in - to the best of my knowledge - uncut form. I have only seen the late 80s BBC repeats once (and that’s almost 20 years ago now). I am more familiar with the heavily-edited Margot Eavis compilation versions, which were originally released in the UK by BBC Video on VHS, and, more recently, to everyone's great disappointment, on DVD, by Universal Playback. As a result I’m not in the best position to judge if there are any snips here and there, but the duration of the episodes presented on Magna Pacific's release tally almost precisely to the records held by the BBC, so it seems they are uncut. The sixteen episodes are presented in their original PAL format over four discs. As Margot Eavis’ compilation versions for this series run to a little under 12 hours, it means (based on the above episode times) there is close to an hour and half’s material missing from those compilation versions. Now to Magna Pacific’s discs themselves. As you can seen the bit rates are a little tight and another disc to spread the episodes out a bit more wouldn’t have hurt – however it doesn’t unduly compromise the quality of the episodes. However, there is a major fault with disc two - throughout the entire four episodes of the disc the VT sequences exhibit a jerkiness on all movement (the film sequences do not show the same problem). I don't know the source of the problem, but, at a guess, the issue has been introduced during the encoding of the disc or in the preparation of the materials to create the master of the disc. Either way it isn't a slight fault as it is extremely noticeable and does distract from viewing. None of the other discs have this fault. The episodes are the standard mixture of film and VT for this period of UK television production and appear to have no clean-up on them at all, which means grain and dirt on the film sequences and the odd bit of drop-out on the videotape sequences. This is all quite minor, though, and not too intrusive. By comparison, the Universal Playback DVD episodes look like they've had a rough going-over with the digital noise reduction knob set to eleven. The image on the Magna Pacific discs seems fine, with colours okay, and not false or plastic looking. In addition, London Films Ltd material does have a tendency to be a little noisy and smeary, particularly in dark sequences, which was exacerbated on the Playback release, but is hardly noticeable on Magna Pacific’s release. The sound is clear, fine mono, and perfectly acceptable for a television series from this period. All four discs are encoded Region 4 only and there are no extras. This is a fantastic series, and simply my favourite BBC Drama series of all time. I cannot praise this series enough. It comes from a time when the BBC was firing on all cylinders on all fronts. It boasted a wealth of good technical crew such as directors, costume and set designers, and a brilliant array of superb actors. 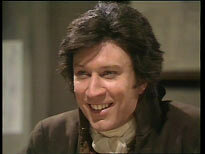 The series vividly presents the detail of late 1700s life that Graham depicted, from the squalor and poverty of the poor, to the bloated factiousness and greed of the rich, with Ross Poldark resolutely in between. It’s worth a purchase alone to see the likes of Robin Ellis, Angharad Rees, Clive Frances and Ralph Bates acting each other off screen. But, to see great character actors such as Eileen Way and Christopher Benjamin making the most of their screen time as well make the series a must-see. The series sticks fairly closely to Graham’s original narrative, with only the odd minor tweak for dramatic license here and there. 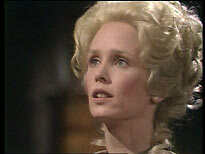 Most notably Demelza is dark-haired in the novels (to contrast with the blonde haired Elizabeth) and Angharad Rees isn’t dark, but she does capture the part so perfectly. From the use of location filming (which gives the series such a dramatic backdrop, as it does in the novels) to Kenyon Emrys Roberts’ wonderfully stirring and evocative theme music. Everything about this series exudes quality. But what about Magna Pacific’s release? The episodes are uncut, un-restored and Region 4 only, with no extras. The fact these episodes are un-restored is not a major issue: it would be nice, but, given the choice, I would sooner have the episodes this way than gone through a “restoration” similar to that undertaken by Universal Playback on its Poldark releases. However, the problem with disc two of Magna Pacific's release is a major issue. There has been comment by other purchases of the release about the problem, so I know it's not a one-off fault with the disc in my copy of the box set. I've emailed Magna Pacific to see if they are aware of the problem. We'll update the review with Magna Pacific's response, if we receive one. Magna Pacific has also released series two, which I haven't purchased, but anecdotal reports indicate it isn't affected by the fault exhibited on disc two of their series one release. The cover art Magna Pacific have used isn’t the best in the world and the images used on the four DVD are blow-ups in very poor quality, so Magna Pacific seem not to have access to many photographs. However, the box set the discs come in is very sturdy with discs fitting either side of the front and back of the box and two on a strong central spindle. The box set arrived in the UK to me undamaged with all discs in place. Other than Magna Pacific’s release there are two other releases of this series available: an uncut R2 complete box set of both series available in Spain, and the aforementioned Universal Playback releases, which features the old Margot Eavis compilation versions (with the odd additional snip besides). How does the Magna Pacific version compare? The Playback release can be discounted for the obvious quality issues (though if you are interested you can pick up Playback’s Series 1 and 2 releases for around £35 from most online retailers these days). The Spanish box set has in its favour the fact that it is R2 and each of the two series is spread over five discs a-piece, which might offer a more generous bit-rate (but, as I’ve said, this is not a massive hindrance to Magna Pacific’s release). I’ve not seen the Spanish box set, so I cannot comment on its quality, or if it has extras. Most people who have it seem quite happy with it, but there has been some comment about the quality in a least one scene. The box set will set you back about GBP68, but expect flexibility in that due to fluctuations in exchange rate. I purchased Magna Pacific’s Series One box set from DevotedDVD, who also offer payment by Paypal, for about GBP20 including P&P. The Series Two box set is available at a similar price. I have had no problems dealing with DevotedDVD, and the box set took a little over a week to arrive, with the delivery option I took. I was very happy with Magna Pacific's release until I discovered the fault with disc two. So, you would be best advised holding off from purchasing Magna Pacific's release until it is known if they are repressing the disc and offering replacements. So, is the complete Spanish box set the one to go for? Well, without seeing it I can't really recommend it over Magna Pacific's release, but, issues aside, neither is the definitive version. Is another re-issue due in the UK any time soon? Who knows? Universal Playback's contract has apparently expired, and the rights may have reverted to BBC Worldwide. 2 Entertain has been putting out all sorts of archive TV releases recently, but they have conspicuously avoided re-issuing titles from the Universal Playback contract. If 2 Entertain were to be considering a release then this important and enormously popular series deserves a full bells-and-whistles release similar to that of I, Claudius and the recent Gangsters. A sympathetic restoration, along with a full retrospective documentary, packaged with any archive material and commentaries by key cast and crew members would do nicely – I’m sure the likes of Robin Ellis, Angharad Rees, Clive Frances or Christopher Barry would be interested in contributing. That would be a fitting tribute to such a series.